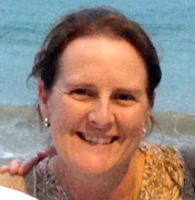 Lisa has been a physiotherapist for 28 years. Her expertise is in the area of lumbo-pelvic, thoracic, neck pain, and headache. Muscle energy, Mulligan techniques, the Thoracic Ring Approach™ and ConnectTherapy™ as well as dry needling are examples of the treatment techniques she uses in her very ‘hands-on’ style. Since 1998 Lisa has trained extensively in the Pilates Method. She Holds an Advanced Diploma of the Pilates Method. 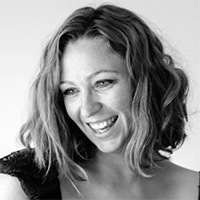 Lisa is a Senior Principal Educator and Mentor for Polestar Pilates Australia. She presents on-going education workshops nationally amd internationally. Lisa teaches Pilates one on one at the PhysioXtra Pilates studio to rehabilitate patients with pain and injury to restore health and function. She is also a certified pre- and post-natal Pilates Instructor. 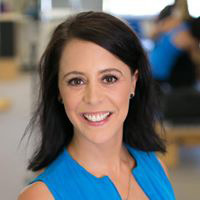 Lisa uses the combination of her extensive Physiotherapy skill set and her Pilates training to accurately assess the neuromuscular system and movement to determine the cause of as well as treat her clients’ pain and or injury. Pain-free movement, healthy movement patterns and body resilience to re-injury are Lisa’s goals for her clients. 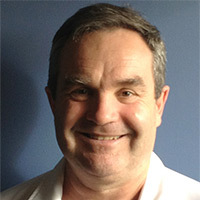 Andrew Wilson has been a Physiotherapist for over 30 years. He has dedicated the majority of this time to focusing on musculoskeletal physiotherapy. He has a wealth of experience in sports injuries, including having been a physiotherapist for the Socceroos. Andrew also concentrates on lower back, thoracic and neck problems, alleviates headache and knee and shoulder pain. Andrew’s many years of experience and excellent assessment skills allow him to find a solution to pain and dysfunction as quickly and effectively as possible, using a variety of treatment techniques. Andrew has trained in muscle energy techniques, craniosacral therapy, Mulligan techniques, Dr. LJ Lee's Thoracic Ring Approach™ and many other modalities. Andrew has also trained in Clinical Pilates. He uses this knowledge to prescribe specific exercises to help his clients prevent a recurrence of pain and injury. Andrew regularly undertakes further education to continually improve his level of care and prides himself on his reputation as a kind, caring and highly- skilled physiotherapist. Melinda trained in the Studio and mat Pilates Method with Polestar Pilates in 2013 and has completed the Diploma of Professional Pilates Practice. She began practicing Pilates after a pelvic injury through pregnancy and believes Pilates movement assisted her recovery, by being a whole body approach benefiting all systems of the body. It is her personal experience of rehabilitation via the Pilates Method that gives Melinda insight into tthe power and therapeutic benefits of Pilates. Her passion is to be able to help others experience the Pilates method and benefit from the results it brings. Melinda has undergone intensive training in Pilates for Rehabilitation with PhysioXtra’s Senior Physiotherapist and Principal Pilates Practitioner, Lisa Anthony. Rebekah is originally from Scotland where she trained as a professional ballet dancer. She then had a decade long ballet career working as a Soloist in companies around the world. Rebekah has been practising Pilates since she was 15 years old integrating the method in with her ballet training. It has helped her maintain general health, well- being, and rehabilitated her through injuries such as twisted ankles and bulging discs. After finishing her ballet career Rebekah received her Pilates Training in London with Alan Herdman who was the first Pilates teacher from the UK to train in New York at Joseph Pilates Studio in the 1970s. She worked under him in his mentorship programme. She trained on all Pilates equipment as well as studying the Classical Pilates repertoire and Pilates for Rehabilitation. Rebekah also holds her ballet teaching Diploma with Royal Academy of Dance. Most recently she has been spending the majority of her time looking after her 2 year old and 9month old little girls. She has been teaching mat and equipment classes, including pre-and post- natal, part-time around the Central Coast. Rebekah teaches on Saturdays at Central Coast Pilates. Liz is a Pilates teacher and Meditation Facilitator. She graduated from the Royal Ballet School Teacher Training in 1997 with a teaching diploma. She went on to teach in Germany, South Australia and Sydney. After teaching Ballet to children and adults for many years, she decided to pursue her teacher training in Pilates to explore ways to enhance the love of movement in every type of person. She started teaching Pilates in 2002 and has been teaching at Pilates International, now known as Movement Collective in Broadway, Sydney since 2005. She completed an Advanced Diploma in The Pilates Method in 2006. Liz has also been faculty for the Pilates International Training Centre (PITC), delivering the Adv Dip, Dip and Cert IV to students in Sydney, Canberra, Brisbane and Hobart for 5 years before the birth of her first child. She has taught people of all ages and abilities, from rehabilitation to Olympic athletes and elite dancers, pre and post-natal women, children, seniors. 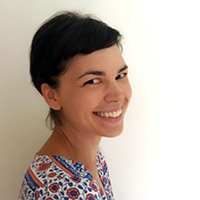 Liz is passionate about supporting people to discover their own potential for healthy, balanced, joyful movement with presence in their lives. Silver Swans Licensed Ballet Teacher. ARAD. Sara is a certified Polestar Pilates mat instructor and is the process completing her Diploma of Pilates Practice. Sara started practicing pilates in 2010 after experiencing lower back pain after the birth of her first child. It helped tremendously and she has been hooked ever since! 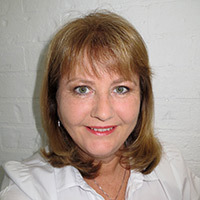 Sara is also a qualified remedial massage therapist in 2006 and has spent most of her working life in physiotherapy/Osteopathy clinics as a Physiotherapy aide. Sara’s background in massage complements her Pilates and gives her an in depth understanding of the body. Sara teaches Pilates mat classes, Pilates for Seniors and also offers Doterra Aromatouch massage at PhysioXtra. Alison is the receptionist at PhysioXtra and Central Coast Pilates. 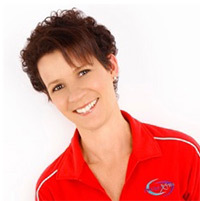 Alison is happy to assist you with any enquiries, Physiotherapy and Pilates class bookings.